As a member of the Pat Swanson multi-family team in Orange County, California, Ryan prides himself on delivering the most comprehensive and innovative real estate information to both new and existing clients. His main responsibility within the Swanson team is to build and maintain relationships with prospective buyers and sellers who are looking to invest in multi-family properties. 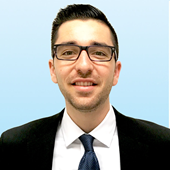 Ryan’s professionalism, research, and vast knowledge of Orange and Los Angeles Counties give him the ability to succeed in meeting the clients every need. Ryan graduated from Loyola Marymount University in Los Angeles with a degree in Business Administration and a focus on business law. As one of Orange County’s top multifamily brokers with over decade of experience, Pat’s success has been predicated on exceeding his client’s expectations. Ranging from portfolio management to acquisition and disposition strategies, he has been involved in some of the most high-profile investment transactions in Orange County, including bulk condo sales, distressed asset resolution, and value add repositioning. He set a multifamily price-per-unit record for West Costa Mesa, while simultaneously advising the same client in a 1031 exchange that more than doubled the client’s cash flow. Prior to joining Colliers, Swanson served as Vice President in the Newport Beach office of Hendricks & Partner’s, as well as a Senior Multifamily Advisor for Sperry Van Ness in Irvine, California. Furthermore, while previously at Colliers he received numerous accolades for his excellence in client service skills and sales performance. Most recently, he was ranked #2 out of all Collier’s international apartment agents, as well as #4 for all Sperry Van Ness in 2009. These lists included more than 1,000 agents. Swanson graduated from the University of Southern California with a Bachelor of Science in Business Administration with an emphasis in Marketing, during which time he was a three-year starter for the Trojan’s football team. Swanson’s athletic ability extends beyond college football as he is also a Black Belt in MooYea-Do Karate. In his spare time, Swanson is a philanthropist for Light the Night, a fundraiser for Leukemia and Lymphoma Research, for which he served as team captain the last four years. He was also involved with Swim with Mike, a charity fundraiser for handicapped children, and was a volunteer for the Special Olympics. Most important to Pat Swanson is spending time with his wife, Alexis, and their four children, Ty, Micah, Shayne and Ryanne. As Vice President, Brett Bayless has earned a great reputation at Colliers International and with his clients with over $250 Million of Real Estate sold over the past 7 years. He is committed to providing the highest quality real estate investment services available in the industry, which has been a leading factor to building strong, client-focused relationships. Brett uses a dynamic and personalized approach to accomplish each of his clients investment goals. As an expert in transaction management and negotiation, he also focuses on being a real estate advisor, by making sure his clients receive detailed and accurate information vital to making informed investment decisions. Brett acquired his Bachelor of Arts from the University of California San Diego, pursuing his love of United Stated History and Economics. During his college experience he played water-polo, and was a lifeguard for the State of California. Today, Brett is an active member of the Orange County Apartment Association. In his free time, Brett enjoys spending time with his wife and daughters. He enjoys many ocean based activities including free-diving, surfing, and fishing. 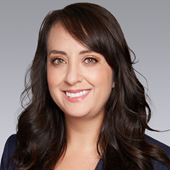 Mayela Ventura joined Colliers International in January of 2018 as a Senior Operations Coordinator for The Swanson Apartment Team. As their Senior Operation Coordinator, Mayela’s focus is to ensure that each transaction is completed accurately and in a timely manner. With a keen attention to detail, Mayela coordinates all the transactional parts from marketing to deal closing and the team’s operations. Prior to joining Colliers International, Mayela spent three years with CBRE working with the operations and leadership team. 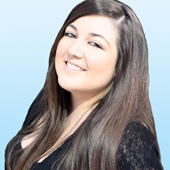 Leading the Swanson Apartment Team’s marketing campaigns, Briana manages and executes highly-effective marketing strategies unique to each clients’ needs. Her responsibilities include: implementing all marketing strategies, designing collateral, creating email campaigns, managing social media, and preparing proposals. Before her transition to Colliers International, she made her mark in the technology industry managing marketing initiatives for a Fortune 500 company and a technology financing company. During her career, she has become highly experienced in InDesign, Photoshop, event management, social media, public relations, and vendor relations. As a member of Colliers International’s premier multifamily brokerage team in Orange County, California, I pride myself with providing innovative solutions for our clients real estate needs. Reporting to Executive Vice President and team lead Patrick Swanson, my responsibilities include what is the most crucial part of the team’s marketing efforts – making the first contact with prospective sellers of multi-family investment properties. By being the first team member to call on property owners, the impression I like to leave with them is often the most lasting. I represent our team’s and the company’s professionalism, its high ethical standards, and its ability to successfully market properties to the investment community. My own work ethic and motivation is reflected by the two bachelor’s degrees I pursued simultaneously and was awarded with honors in Economics and Spanish from Chapman University in just under four years.